The ERU-3600 allows you to conveniently operate two ophthalmic instruments on the table, allowing for greater flexibility. The table is high-quality, providing exceptional features. The control panels features soft touch switches and is very easy to operate. The panels features a main switch and up and down switch for the chair, a light source switch, as well as the projector switch. 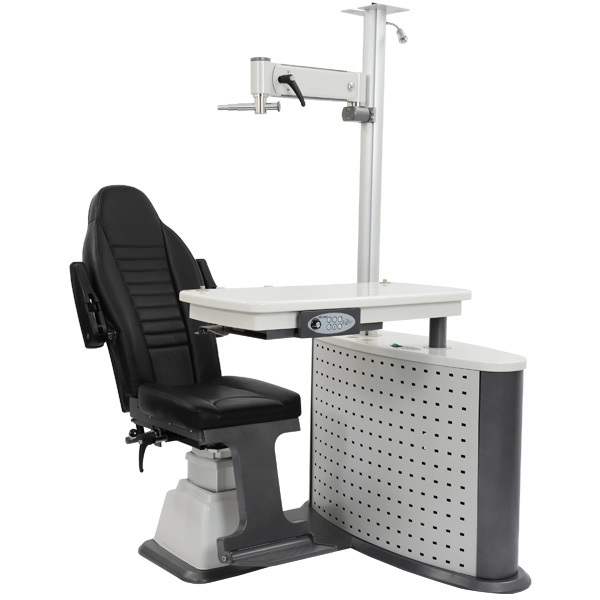 Fine movements for ideal positioning are possible with the smartly designed phoropter arm. 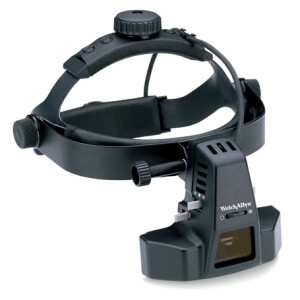 The ERU-3600 has a socket for adjusting the height of the patient with the phoropter. 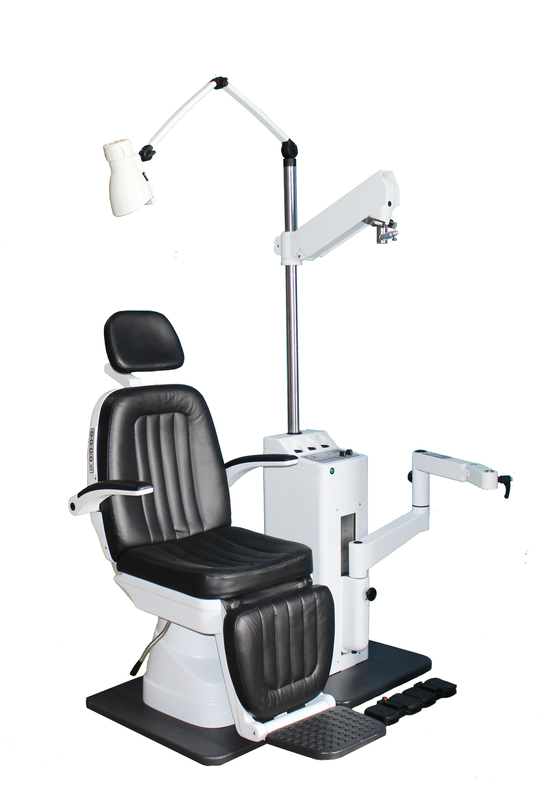 The ERU-3600 chair provides you with all of the movement and functionality you might need during your vision exam. The chair features elevation and can be rotated horizontally to an angle of 90°. It also revolves and reclines to 160° and pillow could be adjusted according to height of people. Reclining Chair can smoothly lift up and down, forward and backward with low noise. In addition, it features a foot rest, head rest and arm rests. The table is movable and can slide. Once in place, simply lock the table and begin testing. The table can be rotated horizontally to an angle of 90°. Charger is for nickel ion handles only. One of the most advanced BIOs available, this device has state-of-the-art, convenient features with a lightweight, comfortable fit and increased stability. Video-aligned optical system ensures precise positioning of components for easy viewing, enhancing workflow efficiency.